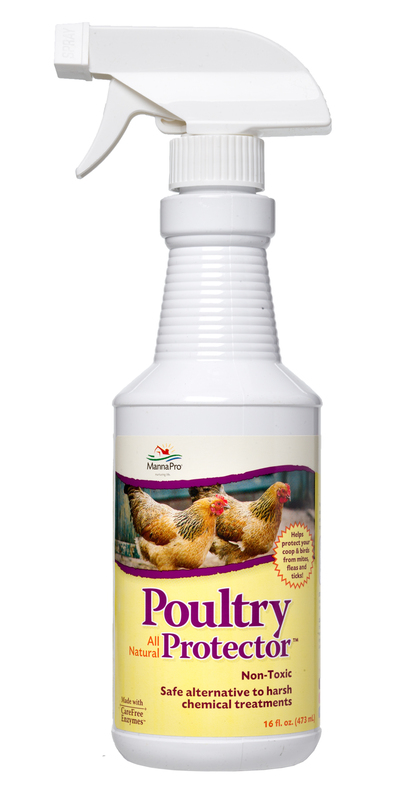 A concentrated and effective parasitic spray, formulated to rapidly kill parasites and provide lasting protection to poultry and surroundings. Parasites can often devastate whole farms through increased poultry mortality, decreased egg production and impaired weight gain. The innovative spray contains a beneficial blend of enzymes that work to break down a parasite's outer shell, great for spraying onto bird bedding, enclosures and grazing ground. There are currently no questions for Manna Pro Poultry Protector - be the first to ask one!